Continuing Legal Education Online Courses with MCLEZ are for Montana attorneys who want to make the most of their time and money. Easily earn Montana Online CLE credit through courses which have been produced in a variety of legal subjects that matter to you. 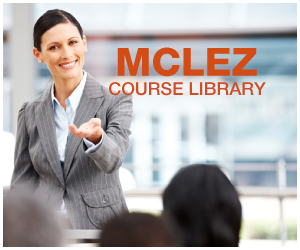 MCLEZ provides online continuing legal education courses that are applicable toward the Montana MCLE requirement based on the reciprocity rule of the Montana Board of CLE. For more information about this rule, please visit the Montana Board of CLE Website, or call (406) 442-7660. This presentation will cover some of the major issues with current BYOT (Bring Your Own Technology) policies, which are rapidly gaining ground in today?s law offices. Russell Jackman will begin by discussing some of the main benefits to law firms, that allowing employees to bring their own tech will provide, as well as some of the challenges involved. He will then go into detail about what should be included in a BYOT policy, such as what precautions should be taken, as well as some of the compromises that may need to be made in order to ensure that there is a balance between convenience and security. Mr. Jackman will conclude this session by explaining how to effectively implement a BYOT program. Why Bring Your Own Tech? Who is brining what to access company servers? What sort of access do they need? For attorneys, being asked to serve on the board of directors for both for-profit and non-profit organizations can be a great honor, however the position brings a unique set of ethical and professional challenges. In this course, attorney Deborah Gonzalez will examine the challenges involved in this dual role as attorney and board member, the ethical concerns and consequences of their relationships, and the best practices attorneys should undertake to avoid conflicts of interest and other adverse events. The course starts with the reasons to accept an offer as a board member. Why would an attorney consider this invitation and what are the organization's motive? The course will then address the dual responsibility as attorney and board member. Ms. Gonzalez will discuss ethical issues arising from this dual responsibility such as conflict of interest, privileged information and reporting wrong doing, The course will explore how the Sarbanes-Oxley Act will affect attorney's relationship with the organization and what is the proper compensation standard relating to this dual role. The course will end with a presentation of best practices to avoid ethical pitfalls and the protections that attorney can seek if their actions (in the capacity of lawyer and board member) are cause of litigation. When does the attorney-client relationship exist?